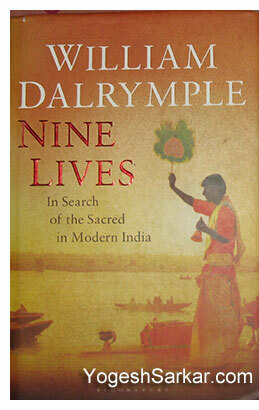 Nine Lives: In Search of the Sacred in Modern India, is yet another travel book on India by William Dalrymple, whom I have come to respect and admire, after reading his various other books on the Indian Sub-Continent and thankfully, this book is no different! Of course where it does differs from the rest is in the way it has been presented to the readers, even though the writing style is still typical William Dalrymple (which is a good thing). Nine Lives as you might have guessed it, is a book about the lives of 9 individuals in the Indian Sub-Continent, who are at times, battling the odds to keep the traditions alive and stick to their way of life, amidst a rapidly changing India and an increasingly talibanized Pakistan (one of the protagonist’s lives in Pakistan). Though William Dalrymple manages to do justice to almost all the 9 protagonists in this book and at the same time, manages to keep the book from becoming humongous, one cannot help but feel that a fewer number of protagonists, might have made the book a little more in-depth and even more interesting. Of course it is also true that with so many stories compiled in one book, it is highly unlikely that one would end up liking each of them and this was the case with me as well, as I found couple of them a little boring, while adored The Monk’s Tale the most! Overall its another feather in William Dalrymple’s hat and Nine Lives: In Search of the Sacred in Modern India, turns out to be an interesting read for anyone, who is interested in the epic that is India.